On February 11, 2015, the Dietary Guidelines Advisory Committee, the nation’s top nutrition advisory panel, has decided to drop it’s caution about eating cholesterol-laden food. This is a move that could undo almost 40 years of doctors warnings about it’s consumption. To read the entire article, click here. While this is no news to those in the know, it may add some credibility to otherwise ‘health nut’ beliefs already based on the facts. This information has long been available and yet mainstream followers have not eaten egg yolks, etc, for many years. The idea of only eating egg whites is so sad as egg yolk provides all the nutrients, like choline, important for your memory, and lutein and zeazanthin, which help prevent macular degeneration, and lecithin which neutralizes the cholesterol. 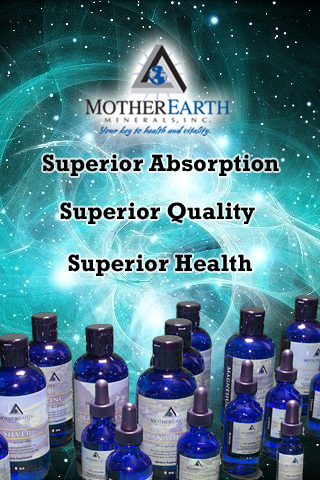 Lecithin is recommended in your diet as a supplement as well, for lowering cholesterol. Also, John Abramson, M.D., a Harvard health care policy expert, found in a study published in 2013, that people with less than a 20% risk of heart disease over the next 10 years had no significant reduction in death as a result of taking statins. He states that the risk is that patients will take the pill instead of focusing on lifestyle changes that will be just as effective. I have personally heard people say “I can eat anything I want…… I take Lipitor!” In a pill-popping society, these people do not want to take responsibility for their bodies…..bottom line! So are we ready to re-visit our entire diet beliefs? At least, a little research would provide relief and much more enjoyment in our daily meals. Most cholesterol is made in your body, not your diet. Now this is a fact that is not just being discovered. It has always been known, but modern medicine says it’s so bad that you must stop all of it from doing it’s vital and normal job in your body because they want to sell a drug. At $90/mo per person with a minimum of 57 million people on these cholesterol blockers, a profit of 5 billion dollars EACH MONTH is a count from several years ago. Why then, has cardiovascular disease increased 28% despite these drugs? Cholesterol is made in your body to perform a lot of important functions. It helps produce cell membranes, hormones and even aids in digestion. It helps to form memories, as part of cognitive function. Blocking all cholesterol blocks the good as well as the bad. 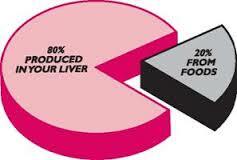 These drugs target the liver, which is the chemical factory of the body. How can you lower the production of LDL cholesterol without effecting production of many enzymes and hormones it is trying to produce? One is insulin. All stress hormones are made from cholesterol. Research shows more and more that saturated fat is NOT the leading cause of clogged arteries an heart disease. While saturated fat does increase your ‘bad’ cholesterol, it also increases your ‘good’ cholesterol. It has been shown that too much sugar, milk and carbs play a significant role in building up particles that clog arteries. Last year, a study published in the Annals of Internal Medicine, found NO LINK between eating saturated fats and increased risk of heart attacks. Isn’t it time for the 99 million people who have high cholesterol to take a serious look at this issue and see it for what it is and has been all these years. This myth has done a great deal of damage to many thousands of people, surpassing any other medical myth in history by far. Why would anyone even think of blocking the body from it’s natural purpose to provide you with health? Where has our common sense gone? This is the medical viewpoint. Where are they when the damage happens? Blocking the statistics, which would astound you! So they can give you more drugs for the myriad complications! Scientists… Gee, they can’t quite make up their minds. They scare us near to death with warnings about BAD stuff and years later flip their findings on us. 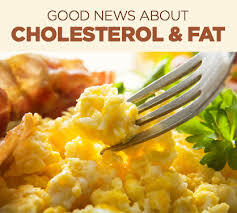 Thanks so much for keeping us posted on this very important information regarding cholesterol. 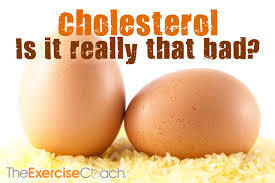 Great information about cholesterol. I use to listen to Gary Null everyday when I lived in the NY area (Ct). Quite often he would have Dr Sinatra on his show and with all both of their info, I was able to really grasp that a lot of the medical industrial complex is just a money making thing. There are some good folks in the medical industry and thanks for making us aware of some of them. Keep up the good work of information Liz. I will be following you. Don’t eat butter, use margarine instead, Opps, go back to butter, Margarine is worse for you. Watch that cholesterol, take Lipitor to lower it, Oops, Lipitor can cause diabetes, you’re better off eating what you did before because we need the cholesterol our bodies make. Does anybody know what to eat or use for an artificial sweetener to lower our calorie intake, Where is the FDA? Nobody takes the time anymore to test this stuff they make for us to consume! We are all gonna die anyway so who cares right? I’m fed up with these goofballs that are just looking for a fast buck at our expense……………………….sheeeeesh!